Where has the time gone?? 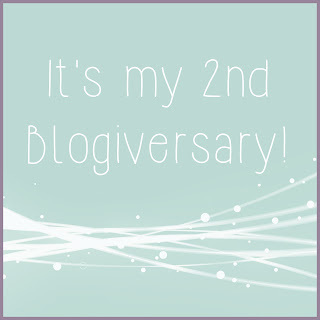 It seems like only yesterday I decided to start a blog so that my reviews could have a place to live. At the time I had absolutely no idea what I was doing (sometimes I still don't) but I found such an amazing family among the book blogging community that I could not begin to imagine leaving! In honor of two amazing years among all of you, I'd like to take a quick book back some of the posts that have been the most liked here on Cornerfolds over the last two years! I've done more than I ever thought I would with this blog. I've met amazing friends among readers and authors, I've hosted two reading challenges, and I even have something super special in the works that you'll hear about later this year. I couldn't have done a single one of these things without all of you and for all of these reasons I am eternally grateful to the book blogging community! THANK YOU for another incredible year!! I hope to be around for two more!